Looking back over my life, I wish someone would have sat me down and given me more financial advice when I was younger. Would I have listened? Would it have made a difference? I have no idea. Probably not. What about you? Did you receive sound financial advice growing up? Were you given the opportunity or required to take a personal finance class when you were in high school? I don’t remember finance classes being an option at my school. I can remember getting an allowance when I was growing up. My parents used to tell us kids to save our money for something we really wanted. To kids, saving money is pure torture. The second that money touches your hand you already have a list of 10 ways to spend it. There’s no joy in saving money, at least not an instant joy. Saving has value in that it teaches you to value. Saving teaches the value of whatever you are purchasing. Saving teaches the value of time investment. It also weeds out all those impulsive ideas we have for our money so that we truly spend our money on what we really want. Also, saving, in the form of an emergency fund, will save you a lot of heartaches and headaches in the future. None of this sounds very fun, but neither is missing out later because you didn’t plan ahead. There are few things I owned as a teenager that have remained in the memory bank through the years. But I remember details of the East Coast MLB baseball park camping trip with my dad when I was in 6th grade like it was yesterday. My love of roller coasters comes from trips every summer to Kings Island, Cedar Point, and various other amusement parks around the Midwest. The school trip to Washington D.C. (except for being left behind at Mount Vernon. True Story!) helped shape my love for American History. All these experiences have helped make me who I am today and how I view the world. Experiences will always trump buying junk that will just take up space in your room, where it gathers dust. Invest in experiences that will help you grow as a person and expand your knowledge and wisdom. Budgets aren’t very exciting to anyone, especially teenagers. Budgeting is like telling yourself what to do with your money and since teens know it all they don’t need to be told what to do with their money. There are few things you can do for yourself financially that are more impactful than creating a budget and then sticking to it. Learning this skill will guide you down the path to financial success beyond what you can see now. Budgeting now will help you when you have a family and are responsible for more than just yourself. The financial decisions made early on in life, even as a teenager, can have a lasting effect on your future. Imagine going in a marriage and planning a family without the burden of debt or, even better, with some wealth built up already. What a great foundation you would be laying for the future for your family. Plus you will realize that while everyone else your age is struggling to pay off past debts, you are able to truly enjoy life and have some of those things you truly wanted. Make the decision today to not ignore your future for the fun of today. Kids, I feel your pain here. When you want something, it’s hard to turn off that part of your brain and deny yourself. This is not to say that you shouldn’t get what you want in life. However, the key is to take care of your needs first and then worry about what you want. Taking care of your needs first and making smart financial decisions will allow you to enjoy your wants more without worry. 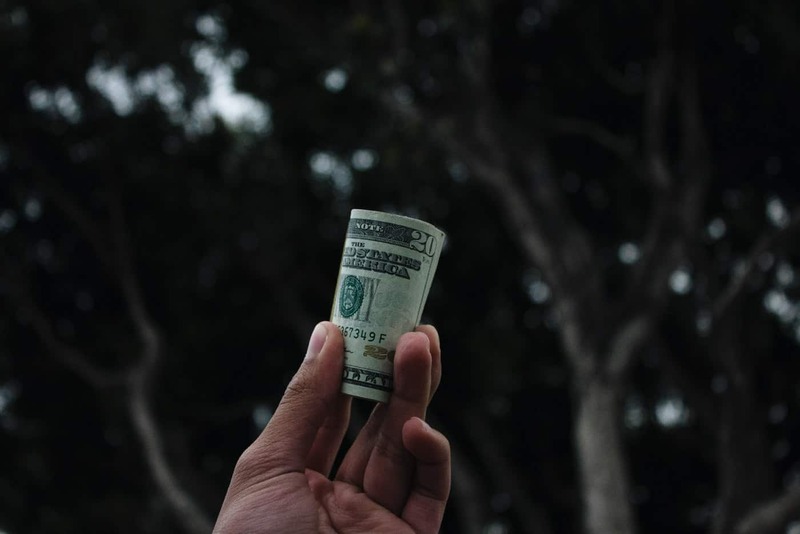 If you’ve made goals for your life, financially or otherwise, keep those goals in the forefront to help avoid the temptation to spend spend spend. I can still remember the first credit card I ever owned. I was in college. There was a table with free t-shirts. You know this table?! Sign up for a credit card and you get a free t-shirt! I thought, “I have no income and I’m 18 years old. Who is going to approve me for a credit card?” Well, the answer was Visa. They approved me for that stupid card, which I used somewhat frequently. I quickly realized you actually need money to pay the bill or you get these things called late fees and interest charges. They add up quickly. Debt can become like a weight that will hold you down financially for decades if you let it and will affect more than just your bank account. Credit cards, student loans, car payments. Buy now, pay later. It adds up quickly if you aren’t careful. There are times in life, like when buying a house, that it will be hard to avoid having some kind of debt. But the work you put in now to avoid debt can make the difference between being financially free and becoming a slave to debt long term. Your future starts now. What you do now can shape your life later on. Having fun is, well, fun and the “college experience” is great and all. But if it comes at the expense of decades of student loan payments, maybe there is a better path to get where you want to go. Maybe the degree you would get from a big name, expensive college doesn’t have more value than what you would get at a lesser known school that is more affordable. Maybe what you want to do with your life doesn’t even require a college degree. If you want to know the truth about student loan debt and its effects on young people, I urge you to watch the documentary, “Broke, Busted and Disgusted”. Also, what can you be doing now to help you learn the skills you will need later on in your professional life. Maybe there is a part-time job available that will help you develop those skills instead of having to wait until college. Invest in yourself now instead of waiting. What are you teaching your kids about money? Let us know in the comments below! In fact, we’ve started putting it into perspective for her by asking her questions like “would you rather buy that toy OR go and get ice-cream with a friend THREE times instead? ?” and she’s really starting to get it. 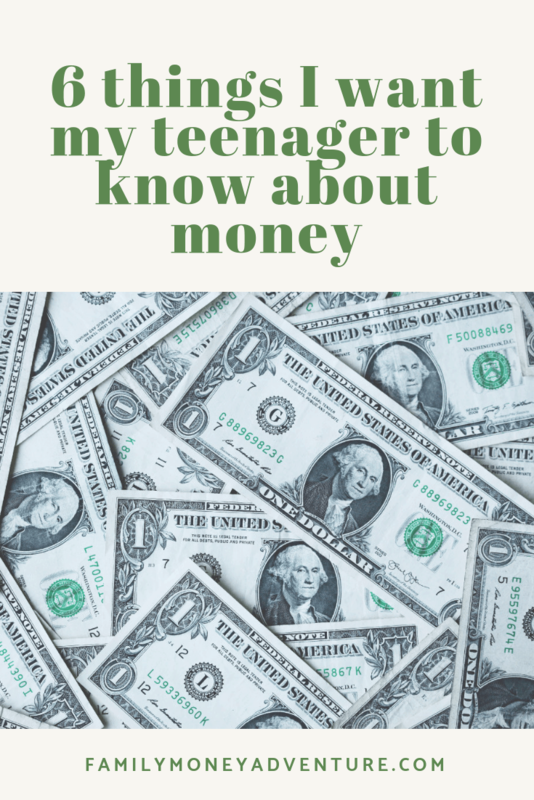 I think as parents, even if we don’t have all the answers, just having regular conversations about money is helpful to get kids of all ages thinking. When I was 14, my grandparents and I picked out a Dividend Reinvestment Plan (DRIP) stock. It was PepsiCo. Every time I made good marks on my report card, they sent some money in for me. 26 years later, I still hold that stock, and frequently invest more. Picking out that stock with them started my love of investments and savings.